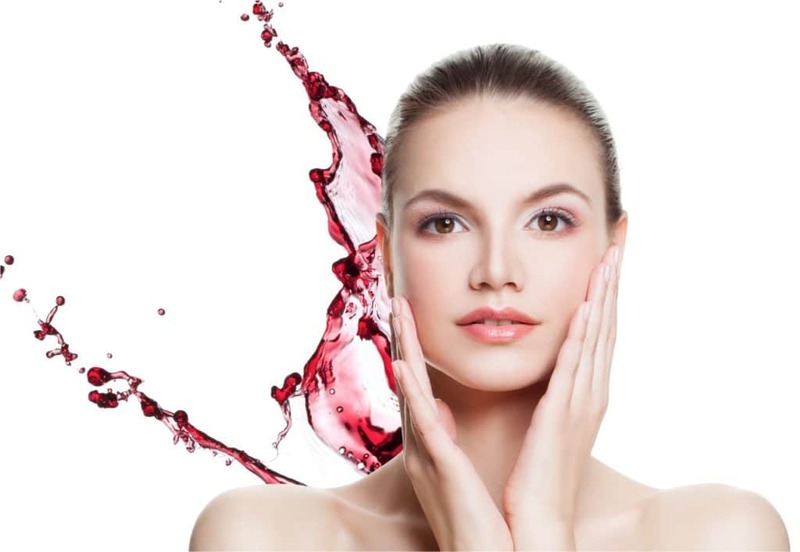 You must have had the red wine from those fancy glasses but did it ever occurred your mind that how Red Wine Facial is beneficial for your skin and health. Fascinating right? Women and wine, this is a duo that is not just restricted to drinking but is worthy of being a part of their beauty routine. Read on to find out some more amazing facts about this magical wine. Let’s start by understanding what is exactly red wine. It is basically made by crushing and fermenting dark-coloured whole grapes. The alcohol content in red wine is basically 12-15%. Need more reasons to drink red wine? Well, guess what red wine is beneficial for your skin along with your health. Exciting right! Don’t feel guilty anymore after consuming red wine and enjoy the process. Red wine is beneficial as it contains antioxidants that are highly beneficial for you. These antioxidants help in reducing the chances of cardiovascular disease and type-2 diabetes (Fact). Due to its surprising benefits, there are numerous uses of red wine too. Red wine facial is a great way to relax your skin. It imparts a visible glow to your face. This miraculous facial will help you restore your charm with the following benefits. Even though it is not a sunscreen but it helps in preventing the harmful UV rays of the sun from entering your skin. You know how? A layer on your skin is formed by the antioxidants present in red wine. It acts as a shield by blocking the harmful sun rays. Now go out in the skin without any hesitation. And did you know that red wine helps in preventing skin cancer? Yes, girls! This amazing wine helps in reducing the risk of this deadly disease. So, don’t think twice before getting a red wine facial and book an appointment now. For every single search on reducing acne, if you lost one acne, your skin must have been spot free until now! There are various solutions online but how many are effective, that’s the question! Red wine facial works wonder for your skin when it comes to getting rid of acne. It contains ‘resveratrol’ that is found in grapes. This active ingredient reduces the growth of acne-causing bacteria. The higher concentration of ‘resveratrol’ helps in getting rid of acne and leaves your skin blemish free. Radiant skin is not a dream anymore! How many times you badly wanted the flawless skin similar to the models, while flipping the pages of a glossy magazine? What if we tell you it is possible through red wine facial? Yes, girl! You will fall in love with your skin after getting red wine facial. This awesome facial leaves your skin feeling healthy and glowing post the process. Radiant skin is just one facial away! Get the glow and head out with confidence. Just when you thought that Red Wine can’t surprise you more! We unveil the magic of Red Wine, only at Just Flaunt Salon. So, what’s so special about Red Wine? Well, the antioxidants present in Red Wine help in restoring the collagen balance of your skin. This provides the right amount of elasticity for your skin and reduces fine lines and wrinkles. Isn’t that magic enough? So many benefits that turn out to be extremely beneficial for your skin. Get ready to appear younger with the ultimate Red Wine Facial! Gone are the days of age spots! Do you know that your age spots are afraid of red wine facial? Lighten your spot and brighten your face with the miraculous red wine facial. Age will be just a number (which you won’t tell anyone, anyway). Keep them guessing your age while you can just laugh and walk away. The ultimate guide to the soft and spotless skin is just an appointment away! Bless your skin with the amazing benefits of Red Wine Facial! Whether you heard about this magic potion or not, red wine facial is a must try for all the ladies out there. The unbelievable uses of red wine facial make it highly desirable among the ladies out there. And the rewards of using it includes uncountable benefits, unmatched glow and a lot of confidence. You can relax ladies, as your search for the ideal facial is over. So what are you waiting for, head to Just Flaunt and gift your skin the plush feel of red wine facial!